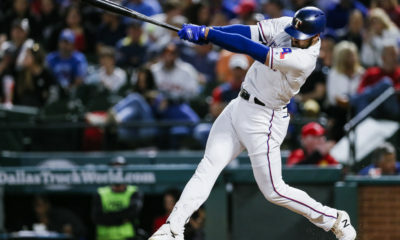 The Texas Rangers (4-7) lost two of three against the Toronto Blue Jays (6-4) over the weekend at Globe Life Park. Ranger designated hitter Shin-Soo Choo hit a solo home run, his third, in the sixth inning to start the Ranger’s scoring in game one. In the next inning, center fielder Drew Robinson started a four-run inning with RBI single before Choo hit a RBI double. 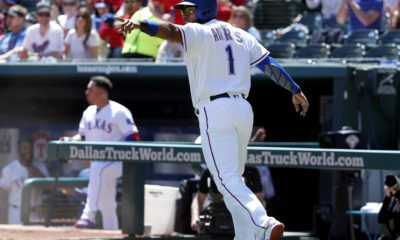 Later in the inning, shortstop Elvis Andrus hit a RBI single before third baseman Adrian Beltre drove in a run with a double, his fourth. Texas lost 8-5. Ranger lefty Matt Moore allowed six runs, five earned, during 3 1/3 innings and allowed four walks and struck out one to earn his second loss. Following Moore’s start, long reliever Jesse Chavez allowed two runs during 2 2/3 innings of work, which included two walks and three strikeouts. Finally, Matt Bush and lefty Alex Claudio combined for three scoreless innings to finish the pitching effort for the Rangers in game one. Ranger left fielder Ryan Rua drove in a run with a sacrifice fly in the second. Three innings later, first baseman Joey Gallo hit a two-run double, his second, before infielder Jurickson Profar hit a RBI double. Catcher Juan Centeno finished the four-run inning with a RBI single. Texas won 5-1. 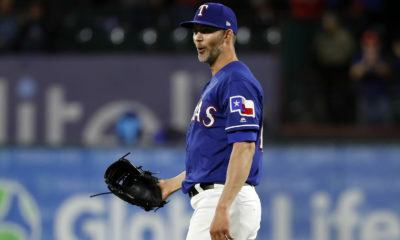 Lefty Mike Minor pitched six innings of one-run ball, which included two walks and seven strikeouts to earn his first Ranger win. Then, righty Kevin Jepsen relieved Minor with a scoreless seventh and eighth before lefty Jake Diekman pitched a scoreless ninth with a strikeout. Andrus started the scoring in the series finale with a first-inning RBI single. Gallo hit a two-run home run, his third, in the sixth before Choo hit a RBI single in the eighth. Texas lost 7-4. Rangers ace Cole Hamels allowed seven runs, five earned, during 5 1/3 innings of work. 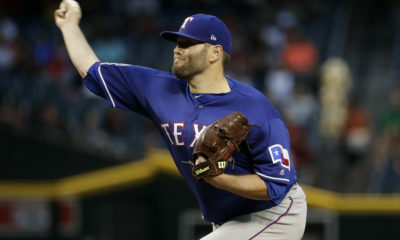 Following Hamels’ start, righty Chris Martin pitched a scoreless two-run appearance before veteran Bartolo Colon pitched a scoreless seventh and eighth. Finally, Claudio pitched a scoreless ninth. Texas will finish a six-game homestand with a three-game series against the Los Angeles Angels (7-3) at Globe Life Park.